Transform your display on Egypt with our fantastic title lettering! 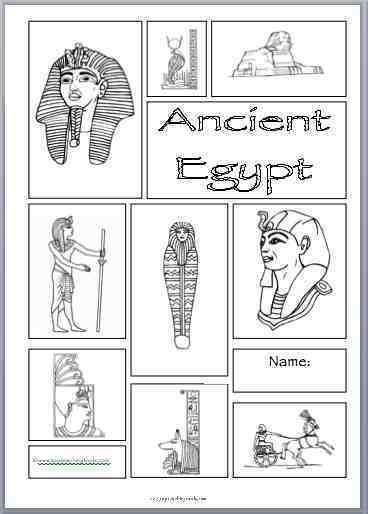 This Egyptian Worksheet pack is made up of over 65 top quality, fun worksheets ready to use for teaching THE EGYPTIANS! It is written for a creative cross-curricular style, suitable for KS1 & KS2 pupils. Ready to be printed from your computer. Geography of Egypt, comparative study of ancient and modern Egypt, the Egyptian civilisation, history detective, looking at primary artefacts, archaeology, time wheel, timelines – in the context of world history, personal and Egyptian timelines, Egyptian food and farming, the Shaduf, the River Nile, Nile Flooking, poetry and creative writing resources, Egyptian society, mini project ideas – famous Egyptians, the Pharaoh, Pyramids, burial chambers, mummification, embalming, canopic jars, burial spells and prayers, the ankh, make a sarcophagus, Egyptian animals, work and education, house, hieroglyphs, make a cartouche, Egyptian gods and religion, creative writing associated with religion, creation, Howard Carter writing frame, foreign trade, the legacy of the Egyptians, puzzles, wordsearches, cryptogram, anagrams and self evaluation sheets. 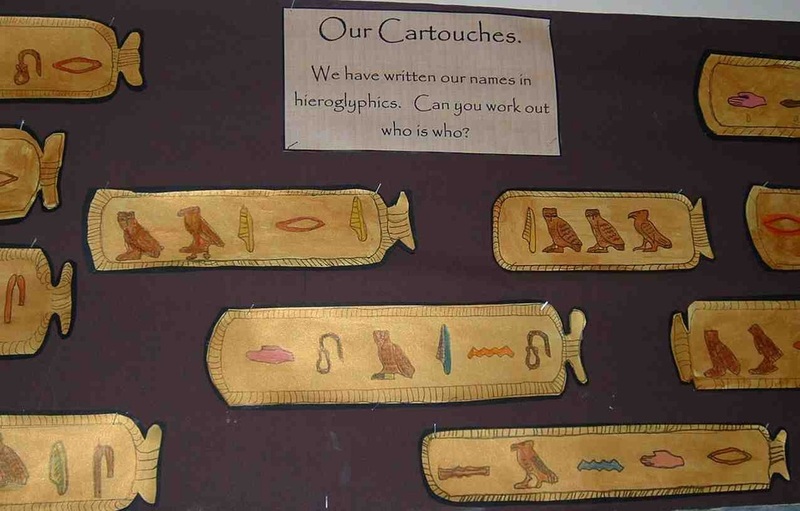 Display our topic labels in the classroom to help pupils spell the Egyptian topic words correctly. 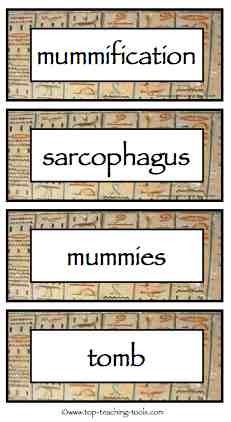 An essential resource for anyone teaching the Egyptians. This pack includes 64 labels. Egyptian pupil self evaluation sheets with teachers' notes. 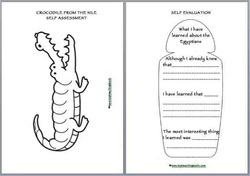 This pack includes several different ideas for pupil self-evaluating their learning while learning the Egyptians. Our mat is designed to remind pupils of key words, to help them when writing, and to encourage correct spelling. Useful for different levels of ability, or use with pupils of different ages. Useful if you move year group too. Simply print and laminate for a longer lasting resource. 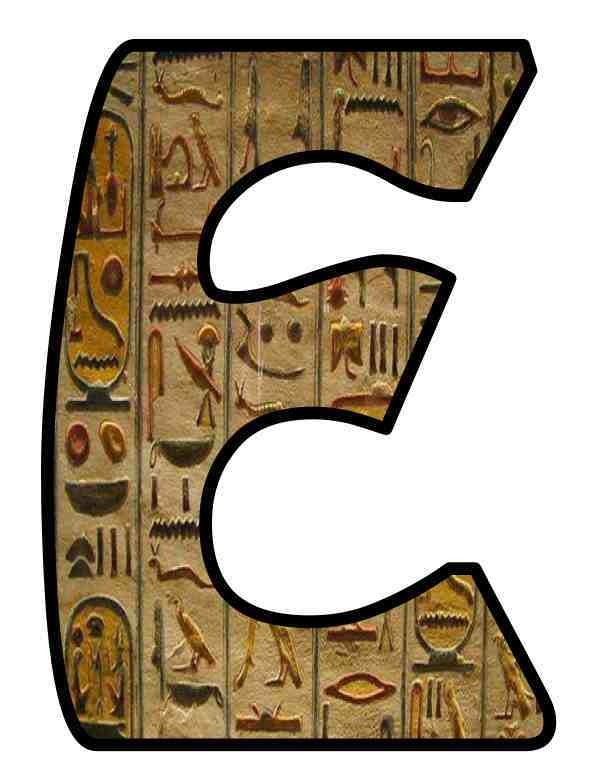 an A4 Egyptians poster, suitable for a display title, word mat, A-Z of Egyptian words sheet and a list of the high frequency words. This set includes two different templates for building pyramids. Simply print out. This template can be enlarged onto A3 for a larger model. We recommend that this template is made on card. Simply cut out the pyramid shape and around the tabs. Score the lines, fold, decorate or paint and glue together. These assessment sheets correspond to our topic pack. This resource is FREE to download! This is a really fun resource. 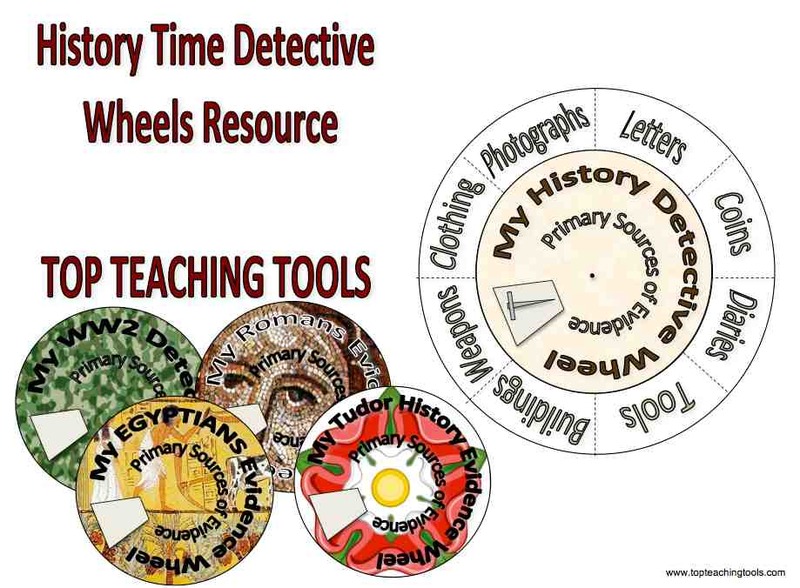 The wheel can be used in the study of any period of history, or in learning about history skills, such as historical evidence, using primary and secondary sources of evidence. Pupils make and decorate the evidence wheels themselves. The wheels come with full instructions and examples. Teachers' notes and instruction pack. Make sure your pupils know the difference between time words such as decade and century. Download our fun matching activity worksheet. 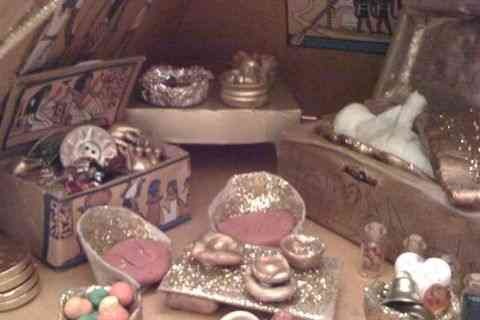 Egyptian treasures made entirely from everyday items such as bottle tops, egg boxes, buttons and tin foil, with plenty of glitter and placed in a large cardboard pyramid.